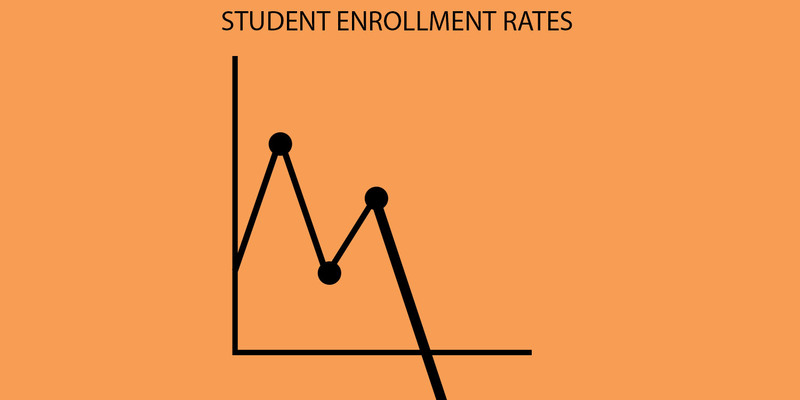 As enrollment numbers fall below projected rates, many Watkins Mill High School teachers will be involuntarily transferred for next year, resulting in fewer electives and larger class sizes. Several teachers in each department have been placed on the involuntary transfer list after enrollment rates fell short of projected numbers for the 2019-2020 school year. The county released enrollment numbers for Watkins Mill High School, predicting that the number for the 2019-2020 school year would be around 1700. However, the actual number is currently at 1602 students. With lower numbers than expected, there are certain teachers who will be involuntarily transferred to other schools. Teachers will have to be relocated to different schools in the county to meet enrollment needs. The drop in enrollment also means that class sizes will be bigger and some electives may have to be cut. In the ​English department, some class sizes will double next year, according to English resource teacher Julie Dean. The loss of staff causes a problem for students. In certain classes, it limits the interaction a student can have with a teacher, such as the number of questions they can ask. “It is never a good feeling to know that we have had to involuntarily transfer any staff member. We value our staff and appreciate their hard work, dedication, and determination to the Watkins Mill High School students, parents and community,” Pyles added. The county believes in equality of distributing teachers based on enrollment numbers and does not look at the individual needs a school has when distributing staffing around the county. “We are a school with high needs, the system talks about equity as equal,” principal Carol Goddard said.